What do achy, dry, rough feet need? A little pampering straight from the garden! That’s right, even your feet benefit from a little garden therapy. This peppermint foot scrub is made specifically for feet. 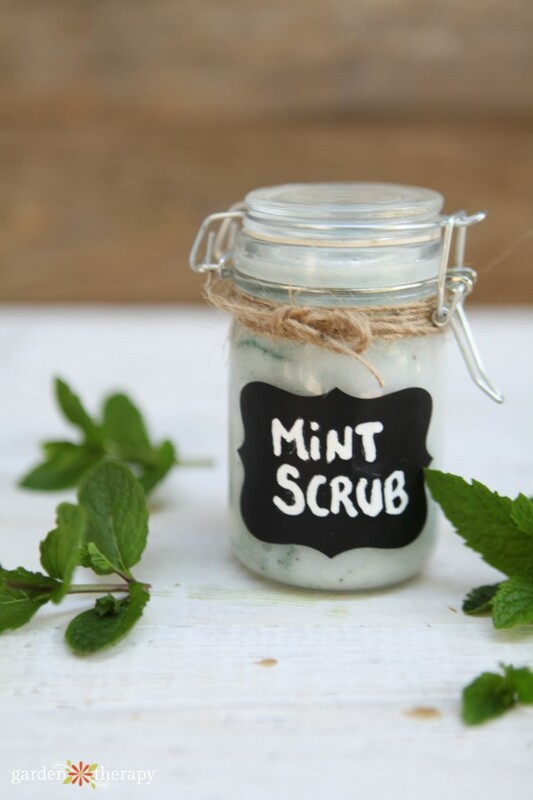 Exfoliating sugar and dried herbs will scrub away rough skin, coconut oil will soften cracks, and soothing peppermint essential oil has a cooling effect. 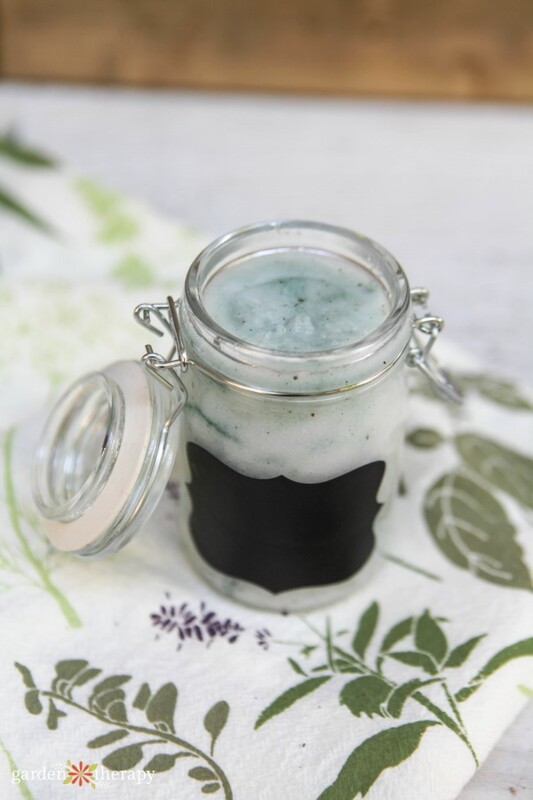 Update: follow this foot scrub with this all-natural healing foot balm recipe! Sugar scrubs are all the rage. You will find endless recipes for them just by scrolling pages of social media. What’s the appeal, you ask? First, they are simple to make, and you can usually find the ingredients you need around the house. This makes them a fabulous way to get started if you want to learn how to make your own all-natural skincare products. You can see all of the products I use in the Natural Skincare Series here. Before you ask, no, I don’t sell any of them. I make them for myself, friends, and family, and post the recipes for everyone else! Second, you can be very creative with ingredients. Generally you start with sugar and oil, then it’s up to you what to add for scent, medicinal properties, and skin healing.